There is a great deal of myth built up around Dr. Samuel Prescott (1751-c.1777) of Concord, an important but not widely known historical figure. Paul Revere has stolen the historical limelight and few outside of Massachusetts know that Samuel Prescott, as fate would ordain, actually finished Revere’s mission after the more famous midnight rider was captured. Prescott also, according to legend, went on to warn the militia in the Town of Acton that “the Regulars are out,” thus assuring that the Acton Minutemen would arrive in time to lead the advance on the Old North Bridge in Concord and suffer the first casualties. Prescott’s somewhat mythical ride through Acton has been reenacted on Patriot’s Day since 1962 and is something I remember well from my childhood. Much of the myth surrounding Prescott I simply accepted as canon when I was a youngster. And much of it is indeed repeated as fact in history books. But the more I search for primary sources behind the story, the more I realize that we really don’t know much at all about Dr. Samuel Prescott. Here is what we can say for certain. 239 years ago this morning, at about 1 a.m., Dr. Samuel Prescott (then 24 years old) was on his way home from Lexington to Concord. He was about to discover that the long anticipated British strike at the provincial military supplies at Concord was getting underway and about 800 Regulars had left Boston. Paul Revere and William Dawes, the two “Midnight Riders,” had been sent to warn John Hancock and Samuel Adams in Lexington that the Regulars were out. Revere and Dawes had just completed that mission. Having been duly alerted, Hancock and Adams sent Revere and Dawes on to Concord to alert the town. Not far outside of Lexington, Revere and Dawes were overtaken by the young Doctor riding along the road. We know all this from Revere’s accounts. Spies were everywhere that night, and it must have made for an anxious encounter. But according to Revere’s 1775 deposition, Prescott simply joined them in their task of alerting households and pushing on to Concord. In a circa 1798 letter to Jeremy Belknap, Revere elaborates slightly that Prescott was, “a High Son of Liberty,” and so they trusted him in helping with the crucial mission. Revere also stated that Prescott was well known in the area (being a country doctor) and would be helpful in assuring residents that this was all for real. The three riders only made it about three miles out of Lexington, or about halfway to Concord, when they were detained by a British patrol on horseback. The story of Revere’s capture is a dramatic one. Long story short, Dawes escaped and went back to Lexington. After being detained for a time, Revere was released and he walked back to Lexington. Only Samuel Prescott managed to escape and get on to Concord, spurring his horse over a stone wall and into a swampy forest. Along the way he alerted several more households in Lincoln. He arrived in Concord sometime around 1:30 (although accounts differ widely on the time) and the town bell was rung. Samuel Prescott had completed the mission given to him by Revere. And that’s about the extent of what we know…almost all of it based on Revere’s two accounts of that night. These facts about Samuel Prescott have since been retold along with a host of myths and legends. I’ll just address a few. Nearly every modern day account of Samuel Prescott states that he was in Lexington that night courting his sweetheart Lydia Mulliken. It is a quaint notion and makes for a charming story–a young man on an errand of love, swept up into the chaos of emerging war. However, I can find no primary source that indicates he was in Lexington for that purpose…or even that he was courting Lydia Mulliken at all. The earliest published source I have encountered that mentions Prescott is “An Oration delivered at Concord, 1825” by Edward Everett, written for the 50th anniversary of the battle. Then a Representative to Congress, later Governor of Massachusetts, Everett simply paraphrases Revere’s account. The next published source that mentions Prescott came two years later in 1827. The venerable Rev. Ezra Ripley of Concord, in his History of the Fight at Concord, simply paraphrases Everett. Then, in 1835, Lemuel Shattuck (who had been a merchant in Concord, had lately become a bookseller in Boston, and would become a significant local politician and historian) published his History of the Town of Concord. Here Lydia Mulliken enters. Shattuck relates that Prescott, “had spent the evening at Lexington, at the house of Mr. Mulliken, to whose daughter he was paying address.” Mr. Mulliken, Lydia’s father, had, in fact, been dead for eight years. So there’s a bit of a red flag. Where Shattuck got this information is not disclosed. 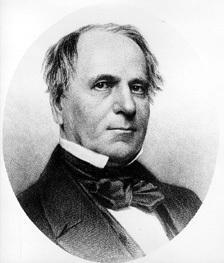 Lemuel Shattuck (1793-1859) historian, politician…and myth-maker? It is, perhaps, worth noting that Shattuck’s book was highly controversial on a number of matters and sparked a furious rivalry between the towns of Acton and Concord. The Acton Minutemen were the foremost company during the advance on the North Bridge and took the first casualties, but Shattuck curiously states that the Acton company, led by Capt. Isaac Davis, without orders, marched past the Concord company which had been at the head of the column. According to Shattuck, the Acton and Concord companies ended up neck and neck, the two “equally in front.” This notion is ludicrous and Shattuck’s depiction forced noses all out of joint in Acton. 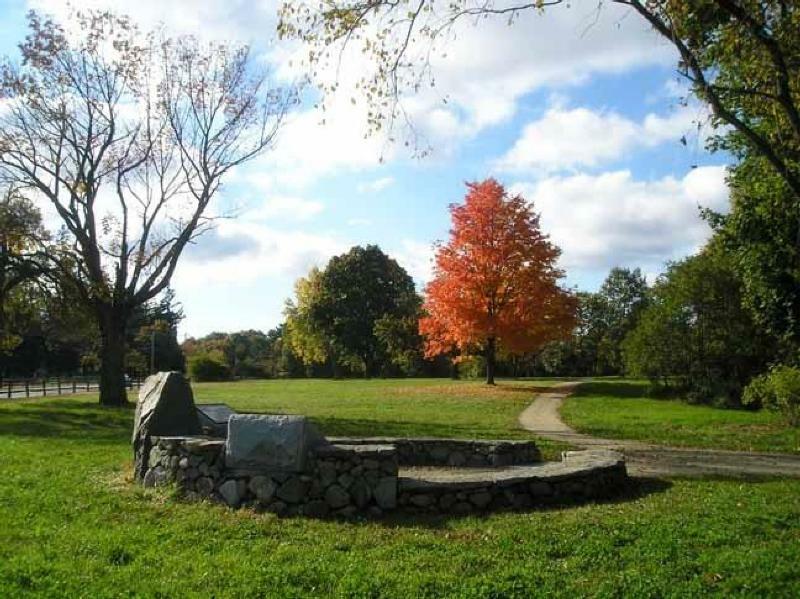 A wave of deposition gathering (interviews with surviving Minutemen) was conducted in Acton. Josiah Adams, an Acton native, presented these depositions in a lengthy and aggravated letter to Lemuel Shattuck (which was published in 1850), asserting that Davis had taken the head of the column under orders and did indeed lead the advance. Although a bit absurd in hindsight, this controversy produced much good in that valuable first hand accounts were gathered–sources that are repeatedly cited to this day. Curious how things work. But I digress. The point being that Shattuck may not be the most reliable source and his is, apparently, the first account that brings Lydia Mulliken into the picture. Later historians would pick up this detail and by the turn of the century Lydia was often inexplicably referred to as Prescott’s fiancee. Did Shattuck get this information from the Mulliken and/or Prescott families? Possibly. There were likely those living at the time who might have had knowledge of such a courtship. But the tenuous nature of this “fact” begs the question…if Prescott was not out courting that night, what was he doing on that Lexington road at 1 a.m.? The brings us to a second significant myth about Samuel Prescott. More recent historians, pointing to the suspicious nature of Prescott’s travels (and particularly to the fact that Revere apparently trusted him and later called him a “High Son of Liberty”) have theorized that Prescott was and had been acting as a courier for the Sons of Liberty, or at least the Provincial Congress in Concord. Prescott was a physician and the frequent, sometimes late-night travels that his vocation required would be the perfect “cover” for activities as a secret courier. There is not a bit of evidence to support this, aside from Revere’s intriguing remark. I will, however, say that I find it plausible nonetheless. Something must have made Revere and Dawes trust him. …A horseman, whose name will never be known, rode up to the house of Capt. Joseph Robbins…and without dismounting gave several sharp blows on the corner of the house, at the same time shouting, ‘Capt. Robbins, Capt. Robbins! up, up! The Regulars are coming to Concord. Rendezvous at the old North Bridge as quick as possible! Alarm Acton!’— after which he rapidly drove off, it is presumed to notify the more interior towns. According to tradition, Capt. Robbins sent his young son, John Robbins, off to alert Capt. Isaac Davis of the Acton Minutemen. In this and other accounts that repeat this story, it is vaguely suggested that this account was passed down by John Robbins himself. This seems probable. But these accounts stress that the name of the rider was, at least by the late 19th century, lost to history. Later historians have put two and two together. There is a tradition that, after successfully warning Concord, Samuel Prescott enlisted the help of his brother Abel to spread the word. The fact that Abel brought the alarm to Sudbury and Framingham is fairly well substantiated by period accounts, and particularly by the documented fact that Abel was shot and wounded by British soldiers in Concord while returning from Sudbury. The notion that Samuel Prescott went on to Acton is a bit more hazy but probably true. It should, however, be noted that the identity of the alarm rider who came to Acton was either unknown or simply not passed down to later generations. That Dr. Samuel Prescott was a crucial figure on April 19, 1775 cannot be denied. Nor can one deny that more myth than fact today surrounds this figure. Was he in fact courting Lydia Mulliken or is this a romantic legend? We’ll probably never know…and in the end it doesn’t much matter. Was he a secret courier for the Sons of Liberty? I tend to believe he was, but there’s no way to prove it. And was he the mystery rider who alarmed Acton? Probably, but the evidence is scant.